Hello there! 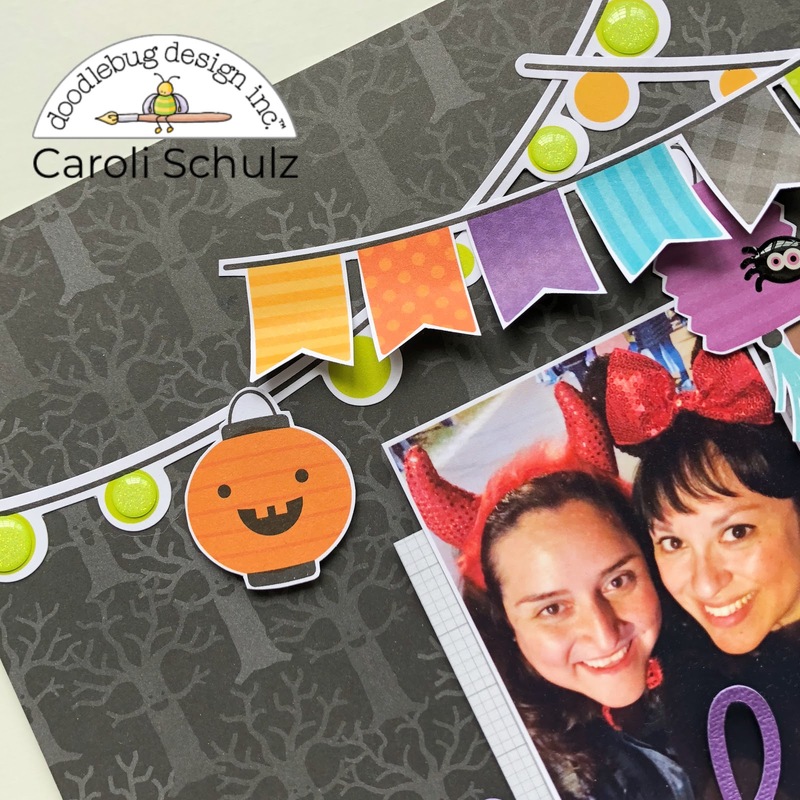 I'm thrilled to share here a new project I made for Doodlebug Design with gorgeous Pumpkin Party collection. 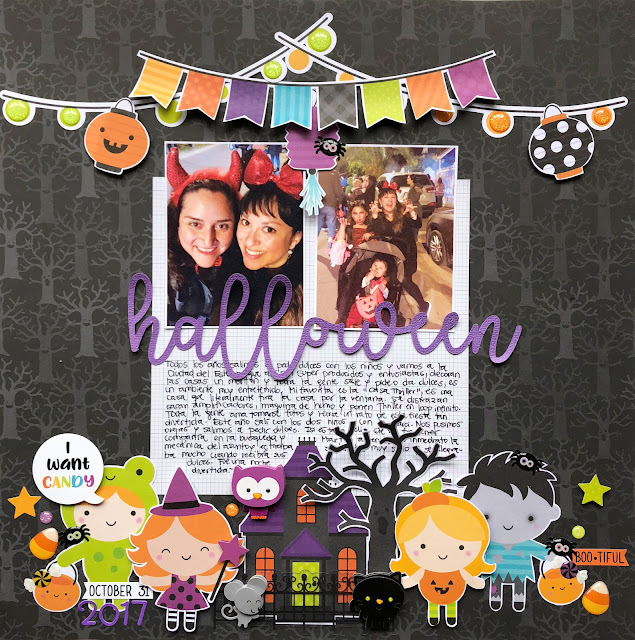 Halloween is such a big deal in our family, and every year I go with my kids trick-or-treating. 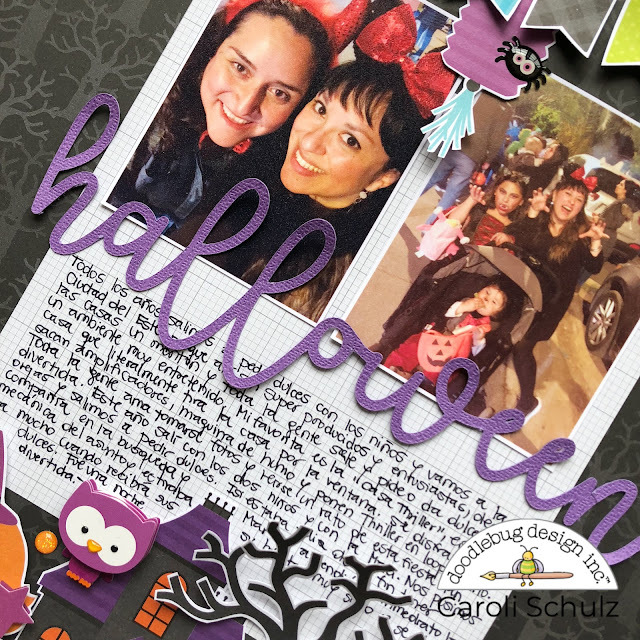 Last year I also enjoyed this festive activity with my bestie and we all had a great time walking with the kids and saying hi to neighbors. I went for a patterned background again, I am really succeeding on my purpose of using less white backgrounds! 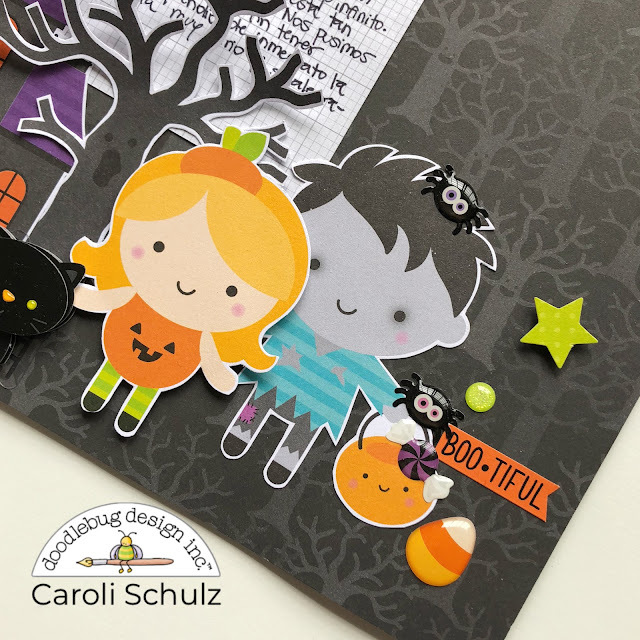 This black paper features some gray scary trees and the pattern is so soft and subtle that works perfectly as base for a layout. 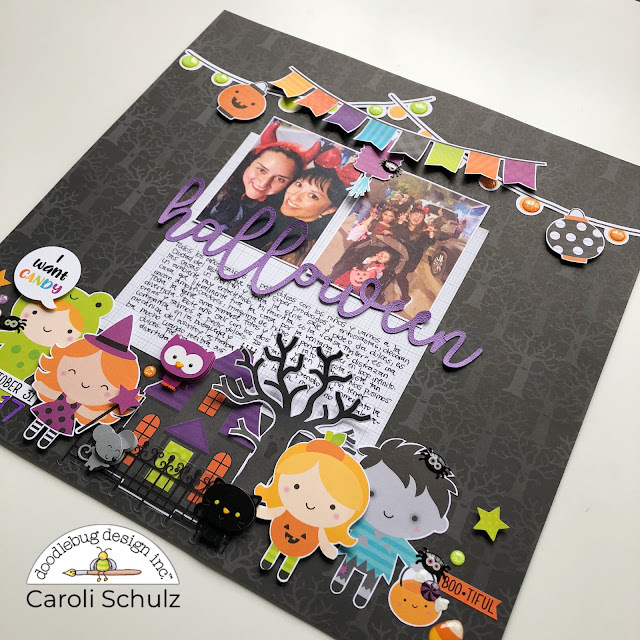 As you may know already, I love Odds&Ends, and I created a big embellishment cluster with them at the bottom of the page. 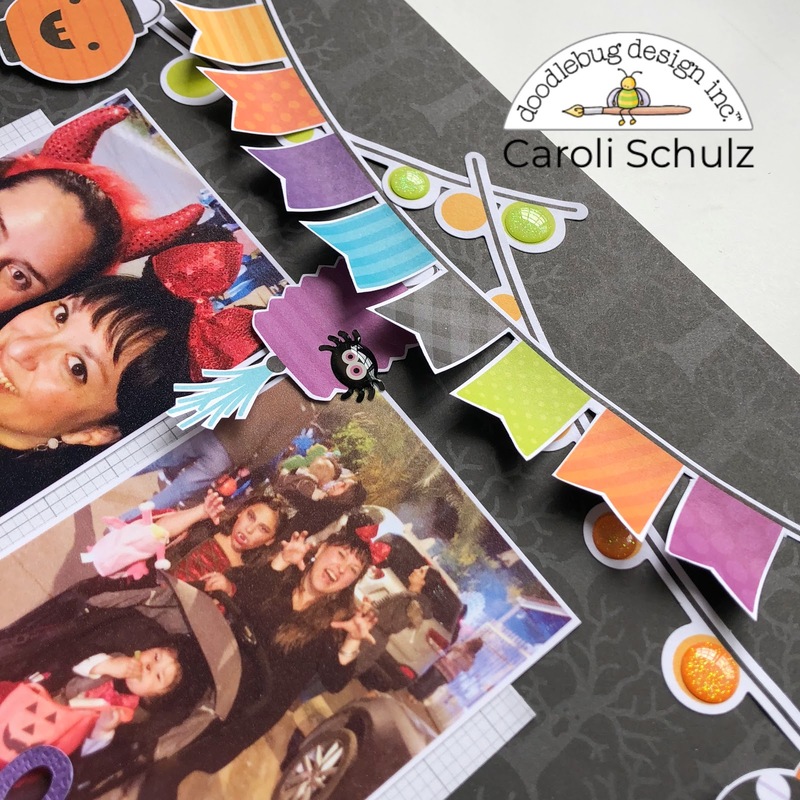 I also used some Doodle Pops and Shape Sprinkles to make the design richer and more eye-catching. 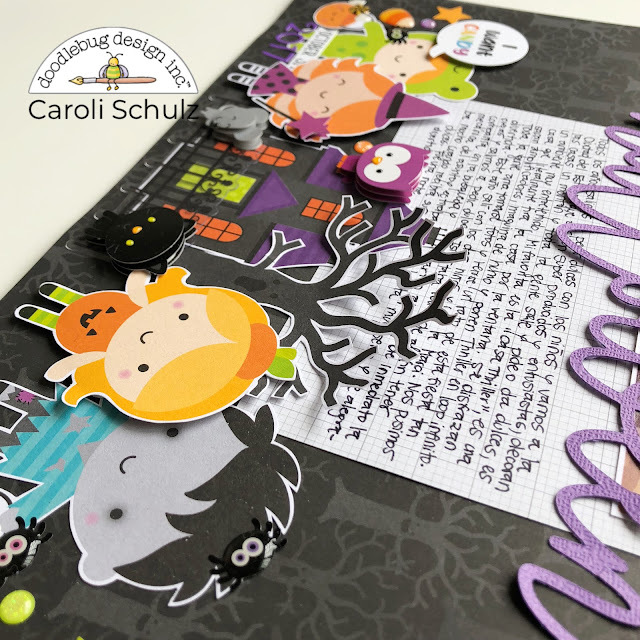 I went for a simple title this time: I just cut word Halloween in purple cardstock using my electronic cutting machine and free font Better Together. A great way to add volume and make your page more interesting is by "embellishing the embellishments" LOL! I used some glitter sprinkles to add a extra detail to these garlands, also I bend the flags a little for more volume. I think it makes a nice effect. I love how this came out, it's really simple but it's full of stuff at the same time... 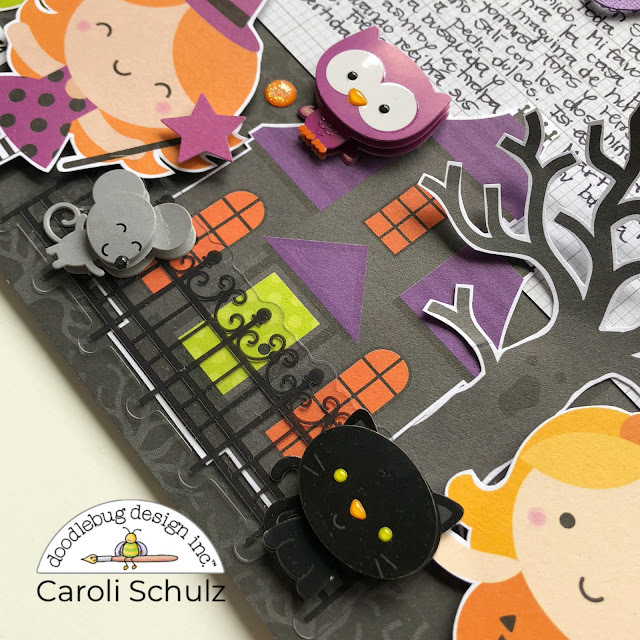 I've realized I just can't stop embellishing when I'm working with Doodlebug!